Visit Israel with the NOBTS Pilgrimage to Israel tour group March 9-18, 2017. The nonrefundable $500 minimum deposit per person applies toward the total tour cost of $3,495, or $2095 for currently enrolled NOBTS students and faculty. The deposit is due upon enrollment. Click here to register and to learn more about the trip. The $500 deposit required to guarantee a place on the tour. Second payment of $500 is due August 15; third payment of $500 due September 15; fourth payment of $595 is due November 15 (final payment for qualified NOBTS students), and the final payment of $1400 for non-students is due January 15. Use of credit cards: please note that an additional and nonrefundable 2.5% credit card transaction fee will be added to the amount charged for any payment toward the total tour cost. To be assured of reservations, please complete and mail the registration form along with your deposit of $500 per person (make checks payable to NOBTS with a note that it is for the Israel Pilgrimage, March 2017) to: Israel Trip – Attn. Blanca Phillips New Orleans Baptist Theological Seminary 3939 Gentilly Blvd., Box 98, New Orleans, LA 70126. Applicants are being accepted for the Clinical Pastoral Education and chaplaincy program for 2016-17 at East Jefferson General Hospital. The program currently offered is Level I/Level II Four-Unit Residency, with group and individual supervision. Tuition for resident program is $1,000. Hospital-wide, clinical assignments available for all programs that include Woman and Child, Oncology, Skilled Nursing and Critical Care units. For information, call 504-503-4830, e-mail gwhammond@ejgh.org or visit http://www.ejgh.org under the Patients and Visitors section. An application form is available at www.acpe.edu. Lauren Frazier-McGuin, M.A., M.Div., is the director of the department of pastoral care and ACPE Supervisor, East Jefferson General Hospital. The 2016-17 Graduate Course Schedule is now available online at the NOBTS website. Click here to view. Registration for the fall semester is now open. Invest in the lives of teens looking for friendship and hope at the North Lake Youth Academy, a residential treatment facility for youth located on the North Lake Behavioral Health System campus, 23515 Hwy. 190, Mandeville. Men and women volunteers are needed to lead Bible studies and/or music with teen girls or teen boys. The opportunity to lead a full worship service is available. For information or to apply, call Brenda at 985.626.6330. But God Ministries (BGM) and Children of Christ Home (CCH) are seeking qualified applicants to serve for 2 years in the CCH Orphanage in Haiti. In the spring of 2012, BGM partnered with two churches in Pensacola, FL to build an orphanage on our property. First Baptist Church Pensacola and Hillcrest Baptist Church have built and are supporting an orphanage that can house up to 32 children. Children began moving into the orphanage August 25, 2013. The orphanage consists of 4 buildings: two dorms, one caretaker’s house, and one building containing a kitchen, bathrooms, and dining area and an apartment for 2 interns. A position for 2 preferably Southern Baptist, twenty-something, single females desiring after graduation to serve while experiencing an entirely different culture… to come join in molding and shaping these young lives while experiencing being on a mission for God. QUALIFICATIONS FOR THE PROGRAM — DO YOU HAVE WHAT IT TAKES? The next available opportunity for service is from late January 2017 –December 2018. If interested contact: Blake Benge, Coordinator of Missions and Ministry, First Baptist Church, Pensacola, bbenge@fbcp.org. Would you like to travel to Ecuador in October on a mission trip? The trip will occur during the fall break and you can earn credit for a provided class related to the trip. In addition, NOBTS students can qualify for $700 as a stipend to help with the travel expense. Contact Dr. Bob Hall at bhall@nobts.edu to ask questions about the trip. Include a contact phone number with your email. Thanks. BlackboardHelpDesk@nobts.edu – Email for technical questions/support requests with the NOBTS Blackboard Learning Management System NOBTS.Blackboard.com. ITCSupport@nobts.edu – Email for general technical questions/support requests. 504.816.8180 – Call for any technical questions/support requests. www.NOBTS.edu/itc/ – General NOBTS technical help information is provided on this website. The SWAP Shop (Surplus With a Purpose) exists to provide an economical means by which the seminary community may exchange or secure quality clothing or small household items for personal use. Contributions of new and gently-used clothes, furniture, books, household goods, gifts and toys are welcome. The SWAP Shop is a volunteer organization open five days a week, with hours based on the availability of volunteers. For hours of operation, join the NOBTS Swap Shop Facebook page by clicking HERE. Times are listed and closures are also announced there. The Swap Shop is always looking for volunteers, especially for morning hours, Saturdays and evenings after 7 p.m. For more information, call Rhonda Smith at 504.481.3656. Starting to work on your semester papers? Search for full-text journal articles using the EBSCOHost database anywhere you have an Internet connection. Please come by the library with your student ID card for information and password codes. Greetings from the John T. Christian Library! We hope you have a great semester and are looking forward to seeing you in the library. Our hours are Monday-Thursday 7:30 a.m. to 11:00 p.m., Friday 7:30 a.m. to 7:30 p.m., and our Saturday hours are10:00 a.m. to 7:00 p.m. We are closed on Sunday. Did you know that NOBTS graduate students can borrow items from other graduate academic libraries in the New Orleans area? Come by the circulation desk in the John T. Christian Library and register for a LaLinc card today. Sign up for the NOBTS Emergency Text Messaging Service today. Click HERE. Choose one or all of the groups to receive texts related to emergency situations that affect our NOBTS campuses and families. Main New Orleans Campus, New Orleans Campus Residents, Louisiana & Mississippi Extension Centers; Florida Extension Centers; and Georgia & Alabama Extension Centers. A hearty “thank you” goes to all that participated in our Recalibrate: Breaking the Power of Secrecy conference last week! We are making available small groups to support and empower those who want to continue in the process of recalibrating and breaking the power of secrecy. German classes are offered by the Providence Learning Center for the purpose of preparing students to meet the language requirements necessary for entry into the NOBTS Research Doctoral Program. Students must pass the German proficiency exam given at the end of the class in order to meet the requirements of the NOBTS Research Doctoral Program. For more information on NOBTS doctoral admission requirements, please contact the Research Doctoral Program office at PhD@nobts.edu or 504.282.4455, ext. 8010. *Please note: These classes are not for academic credit. This is not an NOBTS for ­credit course. The student will not receive academic credit on a transcript and there is no credit earned in this class that can be transferred to any other institution. Students who successfully complete the course will receive a Certificate of Completion from the Providence Learning Center upon request. Accordance Bible Software, a Bible study tool used by top scholars worldwide, recently announced an agreement to offer special academic pricing to New Orleans Baptist Theological Seminary students, staff members and professors. This powerful software is now available in Windows, Mac, iPhone and iPad (iOS) formats. Contact Dr. Bill Warren, wwarren@nobts.edu or (504)282-4455 x3735, for pricing and ordering options. 1. Go through certification. This is a 24 hour certification which NOBTS pays for and which the employee is compensated with hourly pay (24 hours). 2. Work from May 16-July 31. Option of working into August and September. 3. Work between 20-28 hours a week (including some nights and Saturdays). 4. Be age 16 or above. 5. Be a responsible team player with a positive attitude. 2. Guaranteed two weeks off if these weeks are submitted by the end of April. Please email nobts.swim@gmail.com for more information. First Baptist Kenner is seeking people to work Vacation Bible School & Sports/Arts Camp, June 6-10. VBS is from 8:30 a.m. until noon. Camp begins at 12:30 p.m. and goes until 4 p.m. We need people for VBS in the morning as well as people who can work all day and lead a Krewe for Camp in the afternoon after VBS. Those who work all day (VBS & Camp) will be compensated $200 for the week. If you are interested or have questions, please contact Rachel Filla or Chase Bell at firstkkids@gmail.com or call the church office at 504.466.5381. A Mosaic Community and Christian Renewal New Orleans (CRNO) invites college and seminary applicants to take part in a multi-cultural, urban ministry experience this summer in New Orleans. Interns participate weekly in an assigned ministry in the city, as well as a weekly meeting with invited guests that speak on a variety of urban ministry and community development topics. Now In its third year, the CRNO internship program selects highly qualified and teachable interns for service in New Orleans. Housing and a small stipend is available. The program is small and flexible to allow maximum exposure to ministry and mentors during the summer. 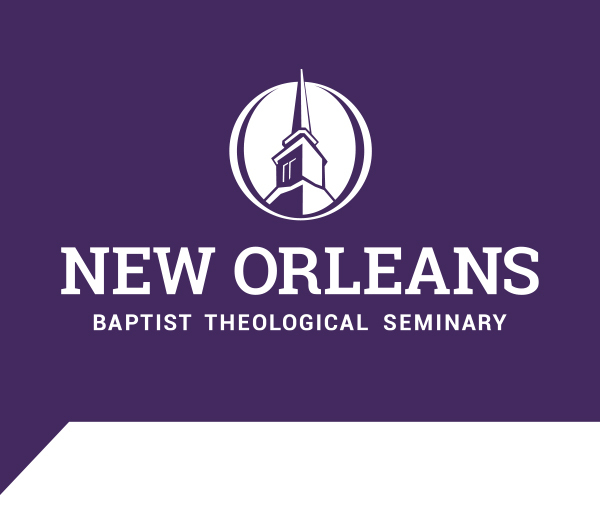 NOBTS seminary credit may be arranged with qualified supervisors in New Orleans and your college or seminary. Email Dr. Page Brooks (pbrooks@nobts.edu) or click HERE for the application. Invest in the lives of teens ages 12-17 at North Lake Youth Academy, a residential treatment center in Mandeville. Volunteers are needed to help meet the spiritual needs of teens by leading Bible studies, music, and worship. The center is located at 23515 Hwy 190 and is part of the North Lake Behavioral Health System. For information, contact Brenda Martin, Director of Adjunctive Therapy Services at brendam@meridianbhealth.com or by calling 985.626.6330. Serve this summer in Zacatecas, Mexico, July 21-30, where opportunities to work with children, do evangelism and construction await. The cost is $1,000 for airfare, room and board. Contact Dr. Bill Warren for more information or to sign up. Email Dr. Warren at wwarren@nobts.edu or call 504.816.8190. The Institute for Faith and the Public Square is searching for volunteers to participate in a prayer ministry to our Louisiana legislature. There are 39 Senators and 105 representatives in our state. This prayer initiative is called Project 219. It is named after room 219 in the United States Capital where people of both parties, dubbed the “Congressional Prayer Caucus,” gather once a week for prayer. The purpose of this prayer ministry is to establish and develop healthy relationships with our state legislators thereby creating an environment of trust and mutual respect with the intent of encouraging Christians and being a light to non-believers. All contact will be non-partisan and apolitical. We are prayer partners, not lobbyists. If you are interested in volunteering, please contact Dr. Lloyd Harsch at lharsch@nobts.edu or Dustin Walters at dustin.walters@welch.edu. Thank you for considering this vital prayer ministry! TONIGHT! Quest Finals Study Break! Not many people get excited about finals but with finals comes the QUEST STUDY BREAK with Daddy’s Donuts and other fun goodies, so it’s a little easier to deal with. Plan now to set aside a little time TONIGHT around 8 pm to come munch and mix. Looking to grab an extra credit or two before heading into your summer break? Consider taking one or two of the following courses during Red Carpet Week. Registration available through the first class meeting. Contact Courtney Veasey at womensacademic@nobts.edu for more information. Have you found us online? We’ve got a Facebook group called NOBTS Student Wives Fellowship as well as NOBTS QUEST. Join soon to keep up with what’s going on! Event updates are posted periodically to help get the word out! For an archive of the women’s programs blog, click HERE.